THE MOST POPULAR MUSIC ON THE ISLAND OF ST. LUCIA IS…COUNTRY? This article by Dominic Maxwell-Lewis appeared in noisey.vice.com. Follow the link below for accompanying video. St. Lucia may be a Caribbean island neighboring Jamaica, but there’s a music scene here that’s a world away from what we generally associate with the indigenous culture of Rastafarians. While Bob Marley and emblematic cannabis leaves may be the typical tableau across the Caribbean islands, here in St. Lucia, the predominantly-black population gets down to a wildly different white-bred tune: that of the Wild Wild West. That’s right, the most popular music on the island is country western. It’s almost midnight on a Saturday, and I’ve decided to venture out into St. Lucia’s capital to check out the prairies and plains of the island’s musical landscape myself. In a warehouse space above a shuttered food market, there’s ruckus. Cars are double-parked outside and vendors on the street are selling their keystone apocalypse-survival wares: rum, beer, and chicken. There’s a Caribbean “western” dance party in full swing, with heels passing on the stairs and, to perfect the scene, someone doffs his Stetson to me as I pass. I’d dragged my reluctant cousin to Prio’s Country Palace (formerly Nashville Palace), the go-to spot for country jiving, to take a twirl in the capital of Castries with the country swingers showcasing their practiced steps late-night above the napping grub huts of the daytime market. Prio’s Palace is where the western kids go to get their kicks. People of all ages are rum-wasted and grinding a foot-swivel with ballet-accuracy through the floorboards. Screwdriver-toes, grooving country. And not everyone is clad in lonesome ranger garb; there are plenty people here in everyday clothes, which suggests that there’s not even a hint of novelty about these gatherings; everyone just really digs it. I tried my best to get in the spirit of things by joining in a bit, but got a feeling I was just making myself stick out more. Even a Rasta in the corner (who I’m pretty sure was just slowly falling over slumped against the wall) was moving his hips more convincingly. These scenes weren’t so much of a surprise; I’d seen evidence of the Caribbean Country Institute a year ago when, during a taxi ride from Hewanorra airport up through the countryside while on a visit, I’d glimpsed some boots and wide-brimmed hats boogying in a roadside shack serenaded by a Hank Williams LP. 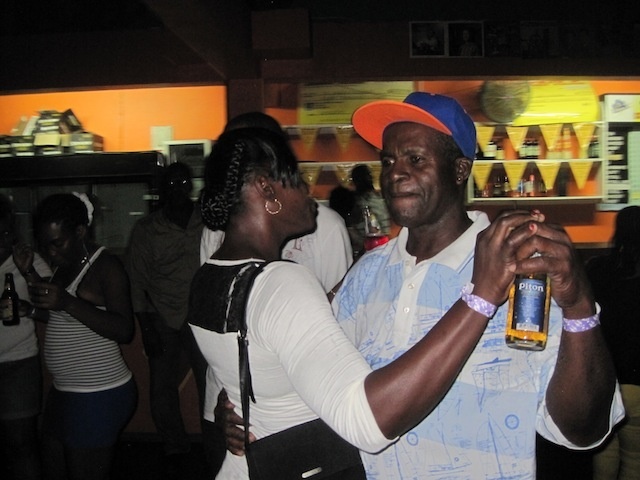 But the country love doesn’t stop at the nightlife; St. Lucia boasts its own home-grown country western singers, too. 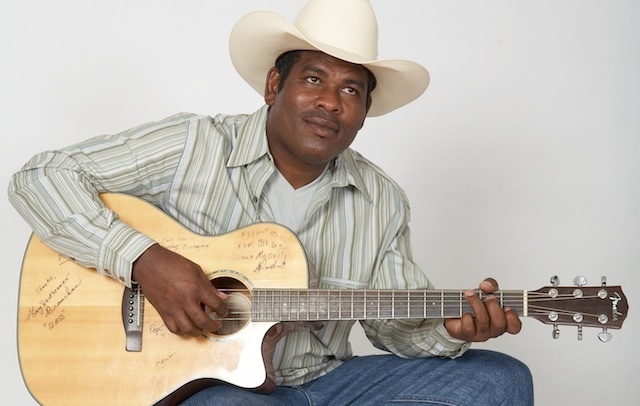 The home-spun tunes of the Caribbean canon may have fazed out of popularity in St. Lucia but the American country music of the west lives on here with a new found integrity. And the parties are wild, too.